Are you planning a dinner party? If so, then congratulations! There’s no better way to have fun with friends and socialize. 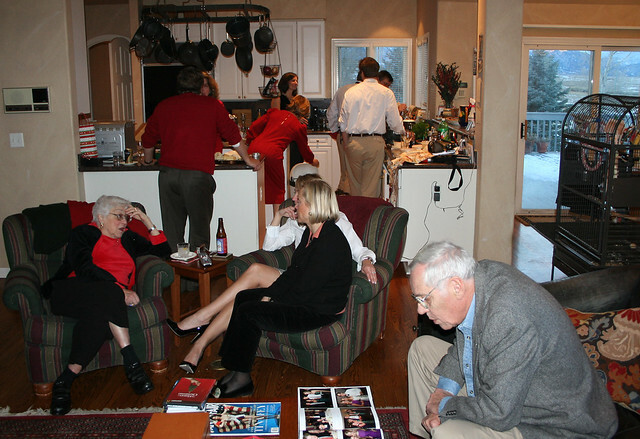 Dinner parties are a great way of bringing people together. They can help you to reconnect with old friends or long-lost family member. Best of all, they’re a sure-fire step to engaging with your creative side. Having friends over can be a little stressful, of course. There is a whole range of things that can go wrong. We know that’s true from watching the dinner parties we see on TV. A dinner party catastrophe can embarrass you in front of your nearest and dearest. Nobody wants that – but don’t panic. Here are some of the big things that your dinner party needs to go off with a bang. First of all, you need to get the right guests. You shouldn’t invite people just out of politeness. Make sure that you’ve got a good guestlist of fun and friendly folks. One bad apple can ruin your whole evening. Don’t let your partner invite that friend of theirs who you’ve always hated. Take care to make sure that nobody crashes the party. That can happen to anyone – even the President – and it can throw your evening off a cliff. Next, you’ll need to take care over your menu. You should aim to serve food that’s interesting, but enjoyable. Nobody wants a menu that’s 100% off-the-wall. Quirky is fun, but too much of it can ruin an evening. You should try and serve one course that’s a little unfamiliar to your guests, but play it safe for another. You want everyone to be happy, after all. Cook food that you’re familiar with, too. You don’t want to have a disaster with a dish that you’ve never made before your big night. That could destroy your planning and wreck your night. You should also make sure that you know all about the dietary requirements of your guests. We’re not talking here about that one weird guy who insists that onions are disgusting. Allergies are a key issue in food preparation. Check out what your guests can and can’t eat. Make sure you don’t slip someone the wrong food by accident. That could lead to all kinds of trouble. Last of all, you’ll need to do your best to create the right atmosphere for your guests. If you want a homey feel, don’t jazz up the house too much. A house that looks too pristine isn’t welcoming to guests. You could think about linking your menu to your theme for the evening. Let’s say you’re cooking Asian food. You could buy shisha online to help create an authentic Asian atmosphere. You can improve an evening of all-American dining by decking out your home in the Stars and Stripes. These little touches go a long way towards making your evening memorable. Those three phases are key to any dinner party. It’s all about the right people, the right food and the right atmosphere. In truth, you can’t go wrong if you get those three things right.